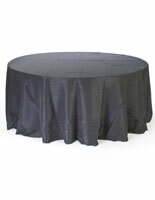 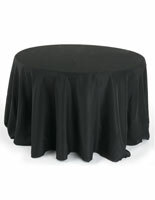 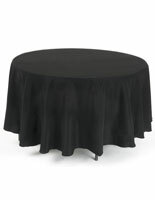 These round black table throws, such as polyester linens, are the perfect solution for formal events like a wedding or special dinner. 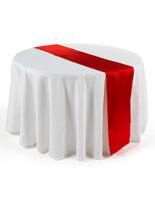 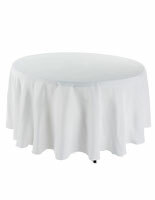 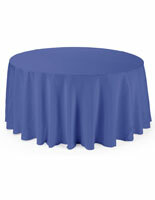 These catering covers work at home or in a business environment to spruce up any decor! 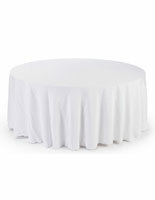 These white table throws are great for cocktail parties, and offer two options for sizing depending on size of the object being covered; choose to have the fabric come to the floor, or to the seat of your guest. 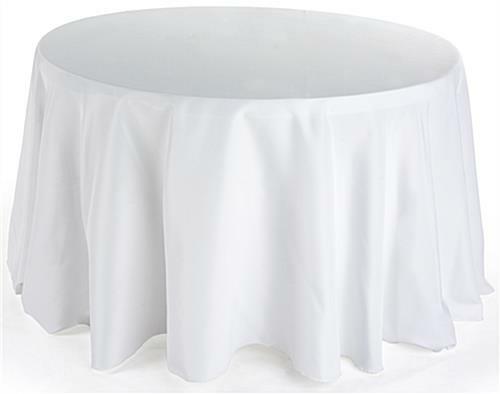 These 108" washable accessories save money when you purchase them in bulk - no more expensive rentals! 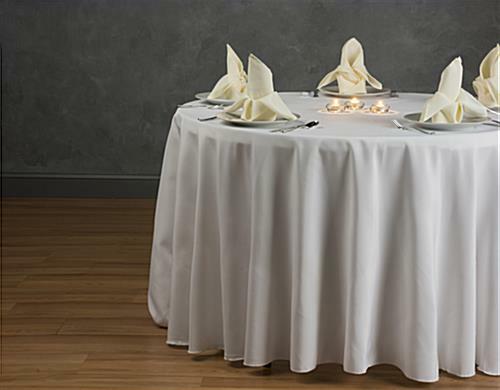 These table throws, like polyester linens, are your best bet when watching the bottom line, while dressing beautiful events!